Shirleen is a first point of contact for clients and the goto person for client and account issues. With over 20+ years experience behind her, Shirleen is rather like the office equivalent of a chief engineer; making sure the office runs like a well oiled and finely tuned machine. When she’s not doing that, she’s assisting Avi, ensuring the continued efficient operation of the company. A modest, un-assuming office manager, always ready to go that extra mile for clients and colleagues. Even happy to fix the printer. 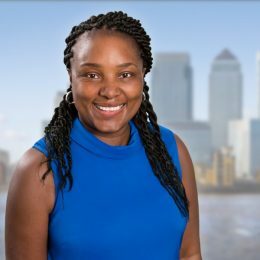 Like others at Blackhawk, Shirleen is keen to maintain a current knowledge of technology and is equally at home highlighting new tech to Avi as she is studying for an Association of Accountancy Technicians qualification. Versatile and multi-talented, Shirleen is a key part of the operational team. Naturally, she’s a keen fitness fanatic, musical junkie, and here’s the big clue . . loves a good whodunnit; not a bad interest to have in an investigations company. A top executive’s PA with a keen financial acumen. Her ‘whodunnit’ skills transform into an uncanny ability to identify and breakdown complex problems, whether client or office related and solve them with little support. She works diligently to ensure that the company practices what it preaches, especially where the company accounts and finance are concerned. That makes her the company accountant’s chief assistant. In short, an office manager to die for and somebody that’s always got your back; just ask Avi.